ESET Smart Security 9 received the highest score in AV-Comparatives’ Performance Test having the least impact on system performance among all tested internet security products. AV-Comparatives, an independent security software testing organization, has just published the results of its regular Performance test measuring the impact of internet security software on system performance. ESET Smart Security 9 was found to have the least impact on system performance among all internet security products tested, receiving an Advanced+ badge. "ESET Smart Security 9 improved significantly, confirming its low performance impact,” said Andreas Clementi, CEO at AV-Comparatives. In the latest AV-Comparatives Performance test, ESET Smart Security was among 5 internet security products that achieved 75 points, the highest score; Avira, Bitdefender, Kaspersky Lab and Avast were the remaining. In the PC Mark test, ESET reached a score of 99.7 – along with AVG, Emsisoft and F-Secure. “AV-Comparatives Performance test confirms that ultimate protection doesn’t have to come at the cost of performance. We are happy that our efforts to provide customers with lightweight protection pays off,” commented Palo Luka, Chief Technology Officer at ESET. 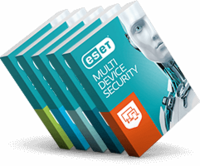 Read the whole report or learn more about ESET Smart Security.